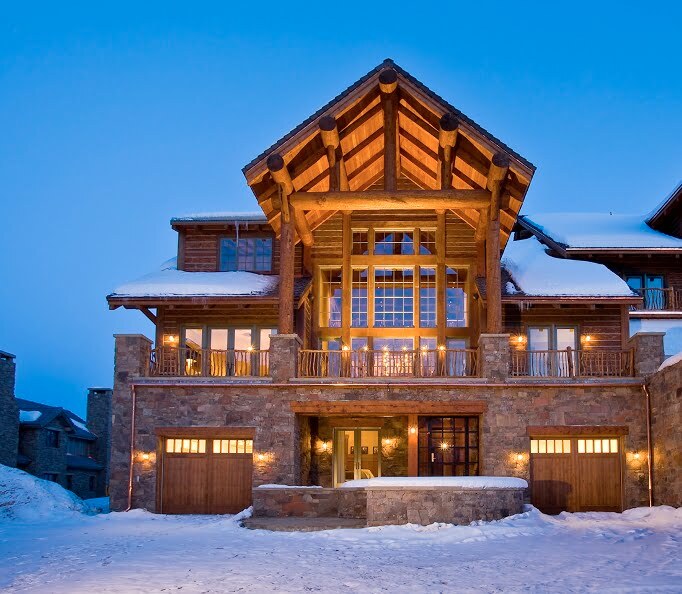 Made possible by the creative minds at Zabala Erickson, LLC this astounding ski chalet is a model of sophistication; With the combination of brick stones, intricate woodwork, glazed features, and superb interior elements, anyone would agree to the extraordinary architecture it depicts. Somehow resembling the eclectic 19th-century style of design, there are a variety of contrasts, as well as complementary details in its entire makeup. It has a traditional and modernist appeal from the use of materials, finishing, and neutral color selection. The unhidden structural members, especially the wooden trusses and wood connections making up parts of the building, seem to coordinate well to the interior design, which makes it even more appealing to the eyes. They did not incorporate suspended ceilings to hide such structural members but use it to the design’s advantage instead through making it look as good as any other visual aesthetics found inside the chalet. Adding to its grandeur is the seemingly excellent play of both vertical and horizontal arrangement of wooden parts of the structure. The living room alone leaves an impression with its high ceiling and a tall, wide glazing features for you to enjoy a scenic view outside. 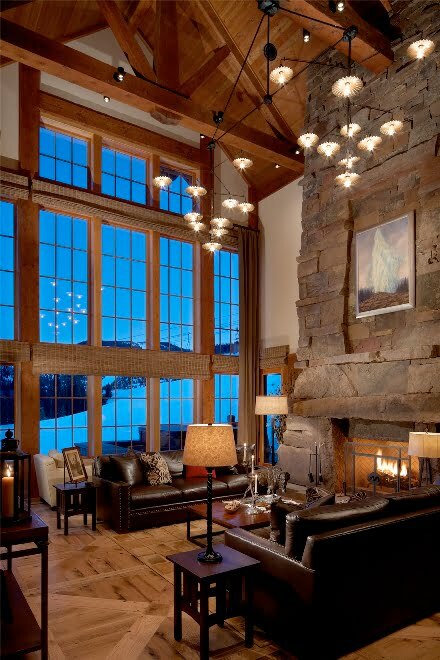 A floor to ceiling glass window and an enormous fireplace to enjoy winter vacation that is something to take stress off from work. The dining room surely creates a fair feel of refreshing atmosphere for you to enjoy the meal as you start your day at early morning breakfast and as you end it with a delicious dinner at sundown. The woodwork done on the patterns of the cupboards and the praiseworthy lighting fixtures assigned to varied spots are simply amazing. On the other hand, the kitchen housing the breakfast nook, cupboards, hanging cabinets, and the varying countertops, make up one spacious kitchen area to perform culinary tasks for the household. 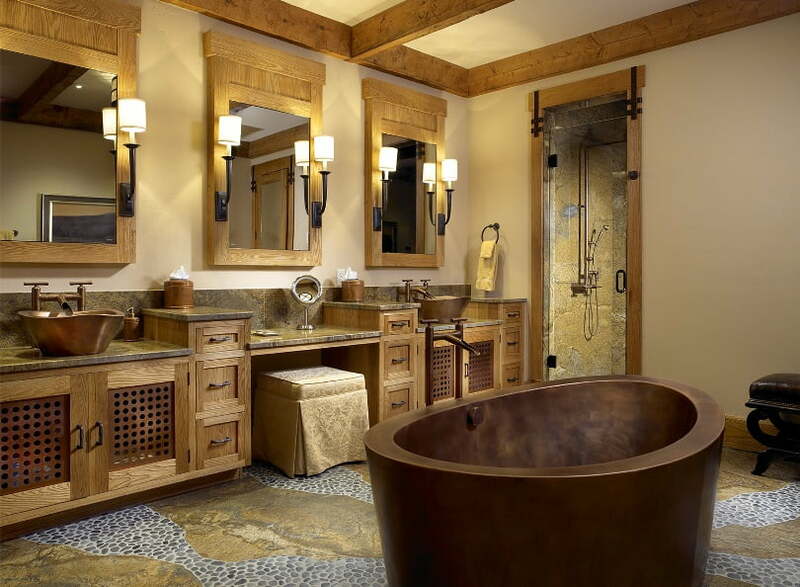 The full bath with its own shower room, unique bathtub, and fancy lavatory are totally boasting with class and art as well. This ski chalet extraordinarily portrays an innovative design encompassing the different aspects of good architecture in terms of utilities, function, and aesthetics. 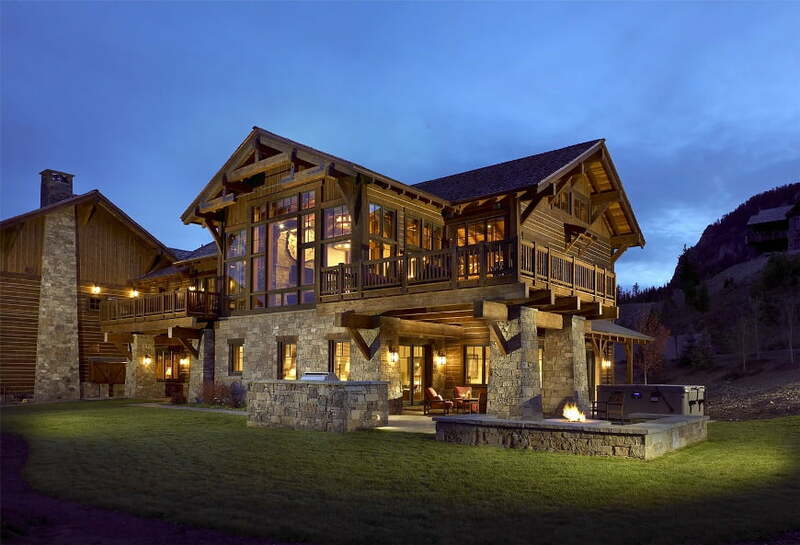 Exterior view showing the sophisticated architectural style of the chalet. Exterior 2-side perspective of the chalet showing off the woodwork patterns and elements used as its most attractive feature. To say the living room’s high ceiling, wide glass windows, and huge fireplace altogether is nice would be an understatement. 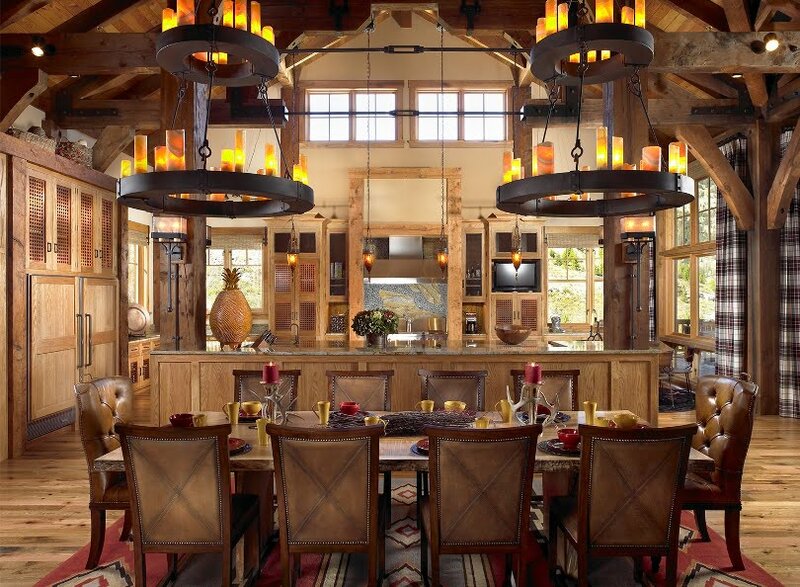 Who wouldn’t want to dine in a dining room like this? 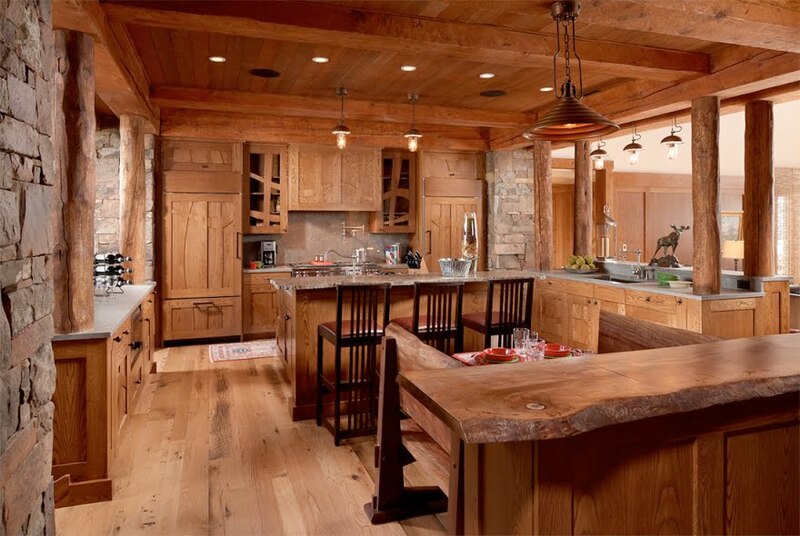 Top class culinary menu could be prepared in the same top class kitchen of the ski chalet. Even the full bath’s spacious area caters an impressive design for you to enjoy bathing and all bathroom utilities you deem necessary.